Product categories of Thermal Conductive Tape, we are specialized manufacturers from China, Thermal Conductive Tape, Led Thermal Adhesive Tape suppliers/factory, wholesale high-quality products of Thermal Conductive Adhesive Tape R & D and manufacturing, we have the perfect after-sales service and technical support. Look forward to your cooperation! DOUBLE SIDE THERMAL ADHESIVE TAPE make of thermal PSA having a better adhesion and efficient thermal conductivity. 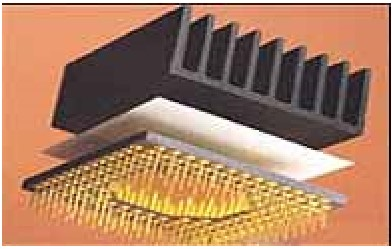 Mainly be used in LED industries. ♦ It is available to use high/low temperature, severe environmental conditions. Even if bonding on uneven surface, thermal conductivity is good. The most important is that it is used easily without changing your machines. ♦ It provides good solution when you need good thermal conductivity, insulation and damping. Based on getting certificates SGS, many customers applied our product to electric products. ♦ 3T conductive tapes have good initial adhesion, insulation, low outgassing. Thermal conductive tapes is best choice to bond hard or soft surfaces.